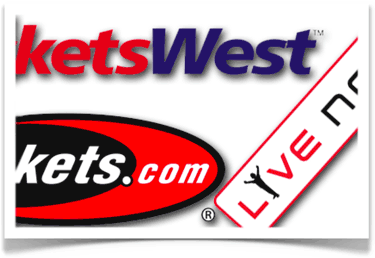 Start Your Online Ticket Broker Business. Discover the techniques used by professional ticket brokers and learn how to pull tickets like the pros. Never miss another presale or onsale. I’ll show you where to find all the presale passwords you’ll ever need, all absolutely free of charge. Sell your tickets for maximum profit. 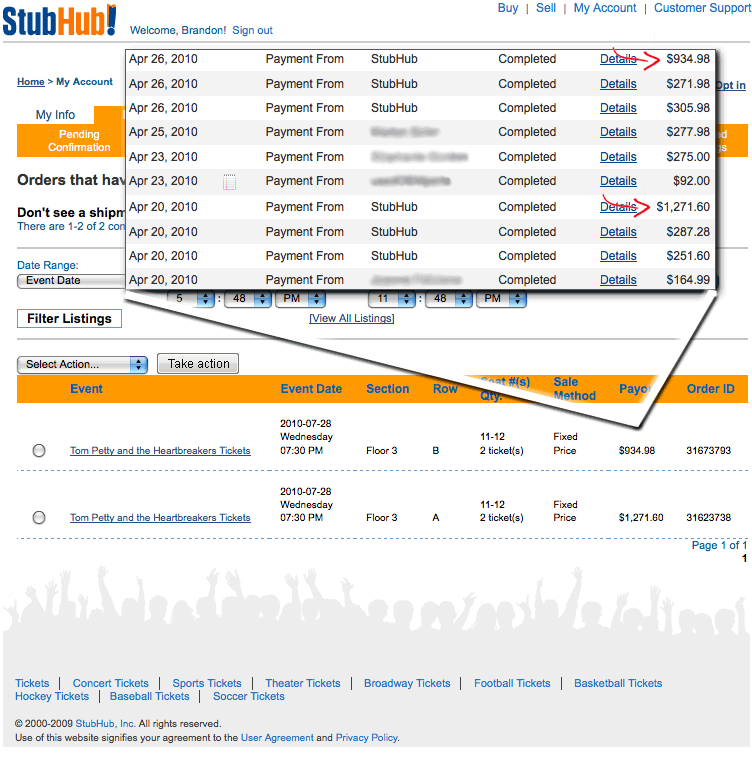 Learn how to get the most profit out of your tickets by selling on eBay, StubHub, and Craigslist. 80 jam-packed pages. 112 images. No prior computer experience necessary. Each major section in the book comes with step-by-step instructions, complete with screenshots to guide you at every step of the way. 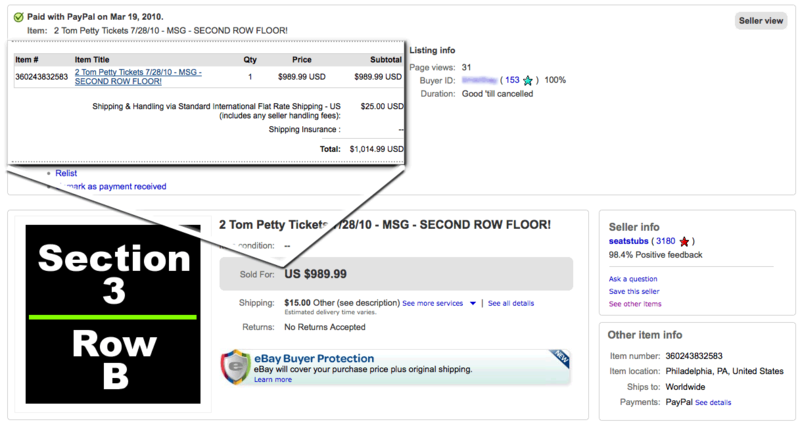 How a Tom Petty concert taught me how to dominate Ticketmaster. 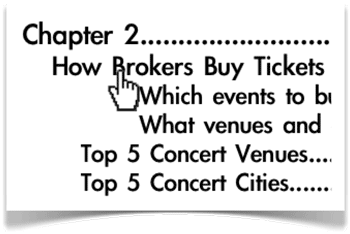 Other ticket broker guides will tell you that you can’t pull first-row seats on Ticketmaster. Not true. I’ll show you exactly how I made $2,233.87 profit in one day by pulling first and second row seats to a Tom Petty show at MSG. What this screen really means. Where to find free presale passwords. Presale codes are being sold all over the internet, but I’ll reveal how to receive all presale passwords for free, freshly delivered to your inbox every morning. How to buy tickets away from Ticketmaster. 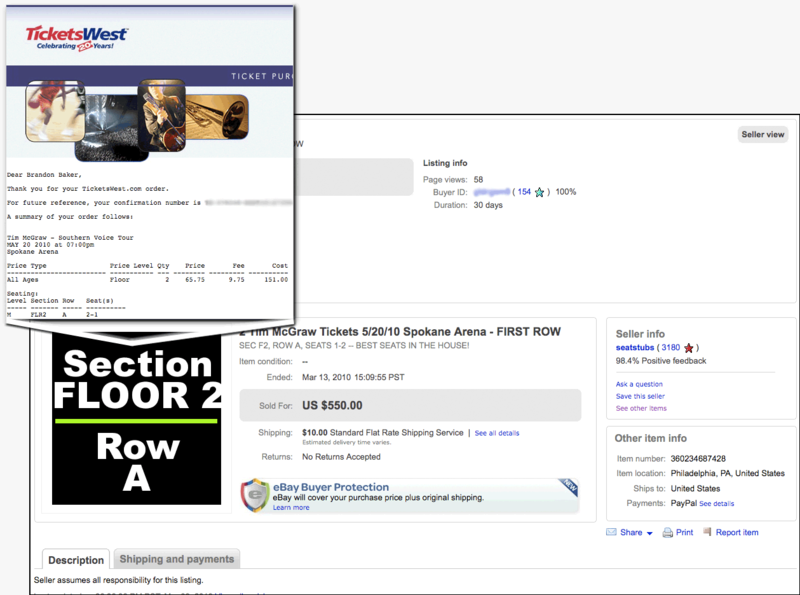 Many ticket brokers neglect non-Ticketmaster sites, but with my guide you’ll learn how to take advantage of tickets that other brokers will ignore. Maybe even pull the two best seats in the house. Yes, it can be done. Written for both sports and concert tickets. 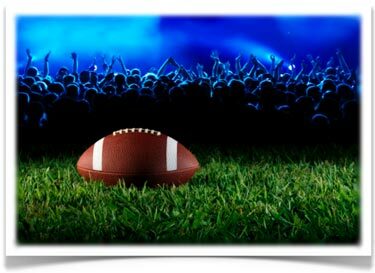 The information in Ticket Broker Blueprint was written for anyone who is serious about starting a ticket broker business, whether you plan to sell sports tickets, concert tickets, or both. 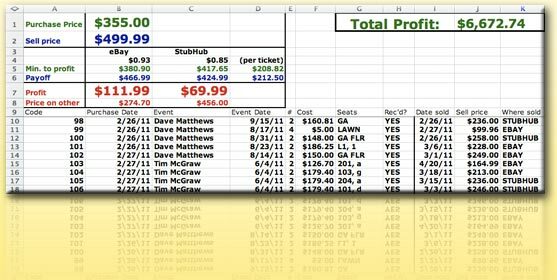 In addition to gaining instant access to my eBook, your package will include my fully-customizable ticket broker spreadsheet. Fill in the details and let Excel do the rest. Couldn’t be easier. The Total Ticket Broker Package. Ticket Broker Blueprint is the only ticket broker guide that offers live phone support. 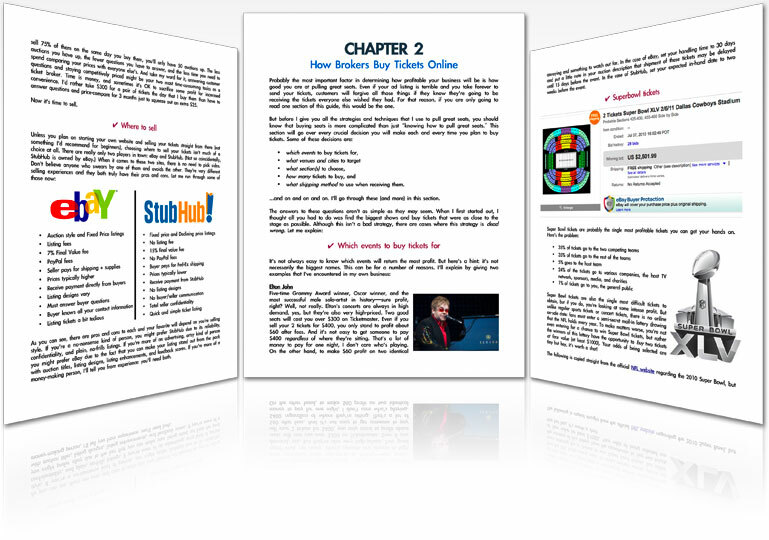 I wrote this eBook to help you learn how to become a ticket broker, and this is my own way to make sure you get there. Any question, anytime. 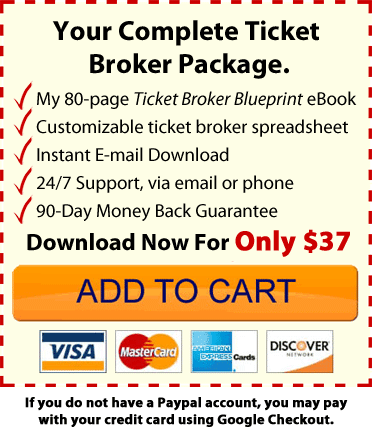 Every purchase of Ticket Broker Blueprint comes with a 90-Day Money Back Guarantee. If my eBook isn’t everything you need to start your ticket broker business, contact me and I’ll refund your purchase, no questions asked.